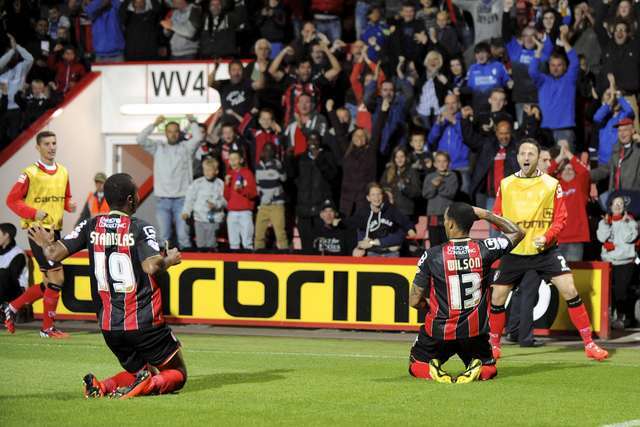 Callum Wilson celebrates scoring his first Cherries goal against Huddersfield Town. Callum Wilson scores against Huddersfield and celebrates with Harry Arter and Eunan O'Kane. Callum Wilson and Junior Stanislas knee slide together after Wilson's goal against Nottingham Forest. 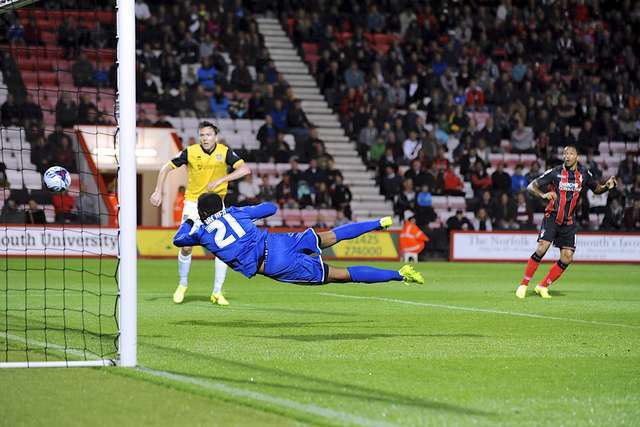 Callum Wilson heads in a goal against Northampton Town. 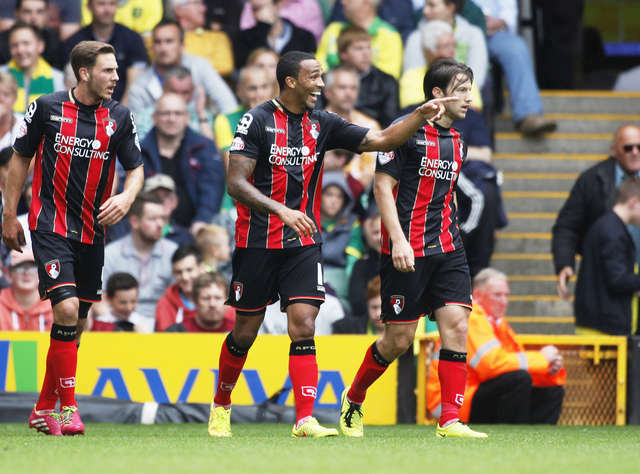 Callum Wilson celebrates after scoring against Norwich City. 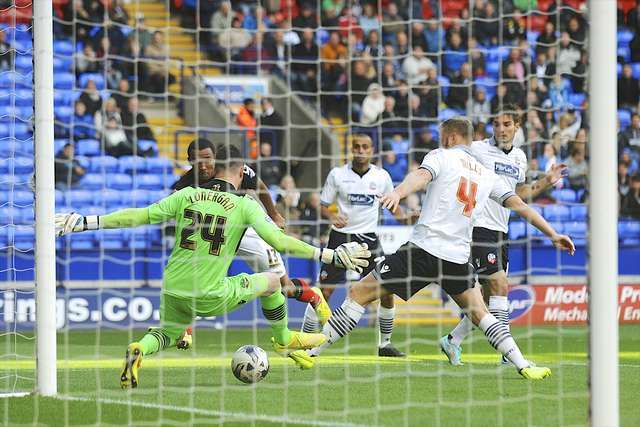 Callum Wilson slots the ball through the goalkeeper's legs against Bolton to score. 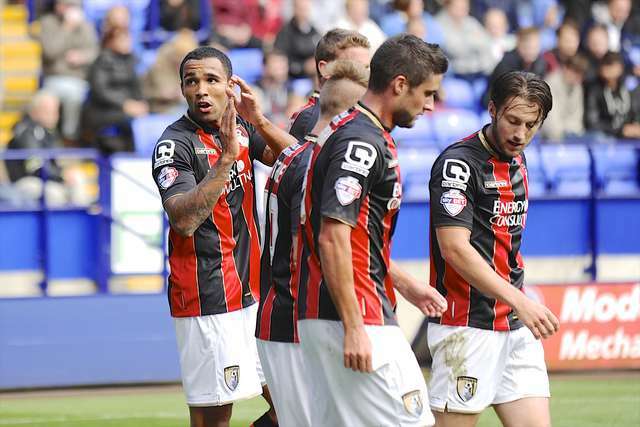 Callum Wilson claps the away support after scoring his second goal against Bolton Wanderers. Callum Wilson is hugged by Simon Francis after scoring against Charlton Athletic. Callum Wilson is hugged by Marc Pugh and Simon Francis after scoring against Reading. 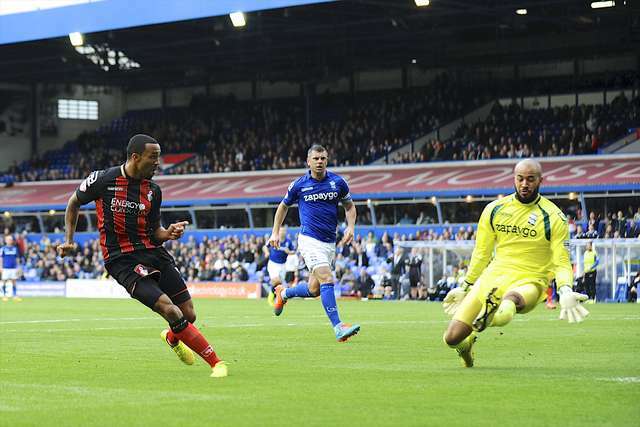 Callum Wilson slots the ball past Darren Randolph to score against Birmingham City. 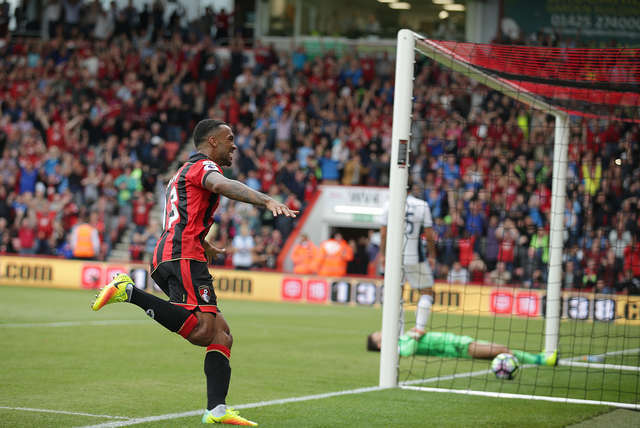 Callum Wilson smashes an effort past the 'keeper against West Brom. 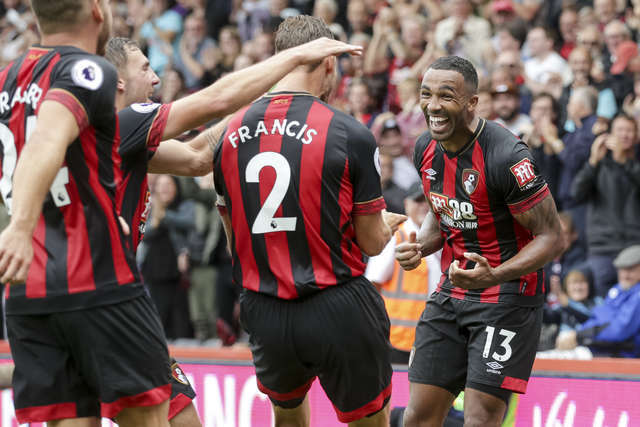 After scoring against Cardiff City, Callum Wilson celebrates with Simon Francis, Marc Pugh, Brett Pitman and Matt Ritchie. Callum Wilson is congratulated by Matt Ritchie after scoring against Blackpool. Callum Wilson wheels away after scoring against Rotherham. 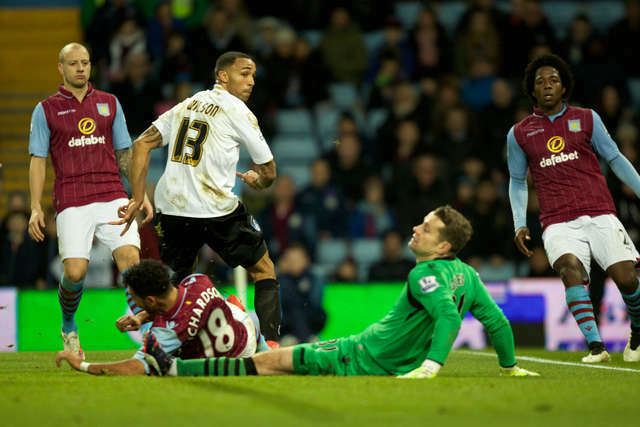 Callum Wilson pokes the ball past Shay Given to score against Aston Villa at Villa Park. 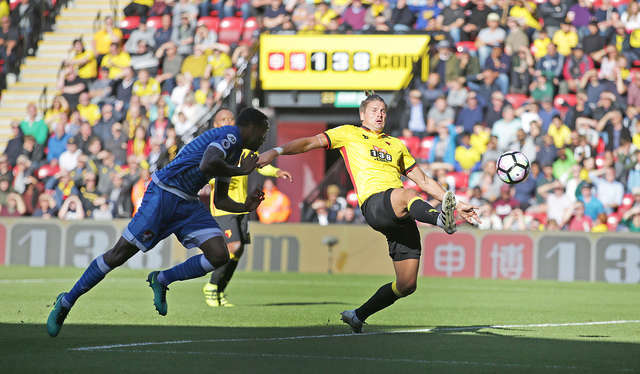 Callum Wilson sidefoots in the opener against Wigan Athletic. Callum Wilson rounds Ali Al-Habsi to score his second against Wigan Athletic. Callum Wilson finishes against Derby County. Callum Wilson grins and is hugged by Brett Pitman and Matt Ritchie after scoring against Blackpool. 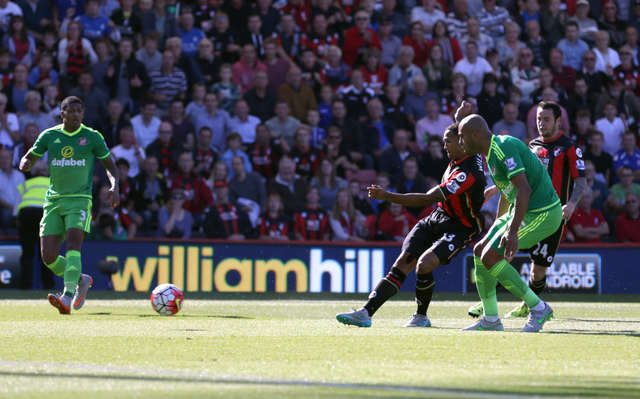 Callum Wilson rounds Darren Randolph to score against Birmingham City. 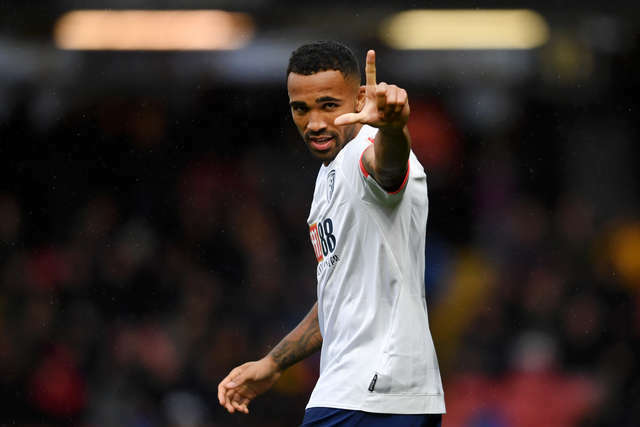 Callum Wilson gestures to the crowd after scoring against Brighton. Callum Wilson slams in the winner against Reading. 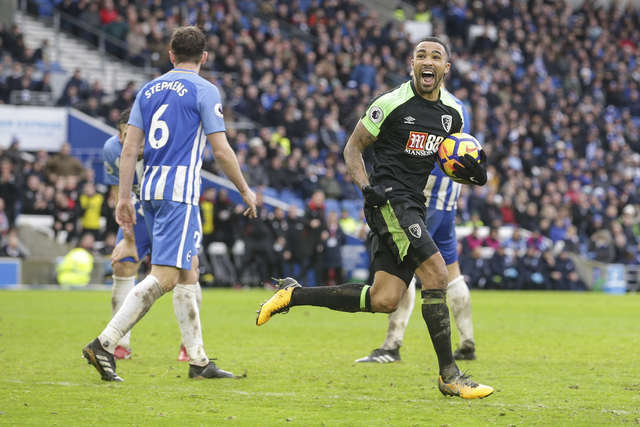 Callum Wilson celebrates after scoring against Bolton Wanderers. 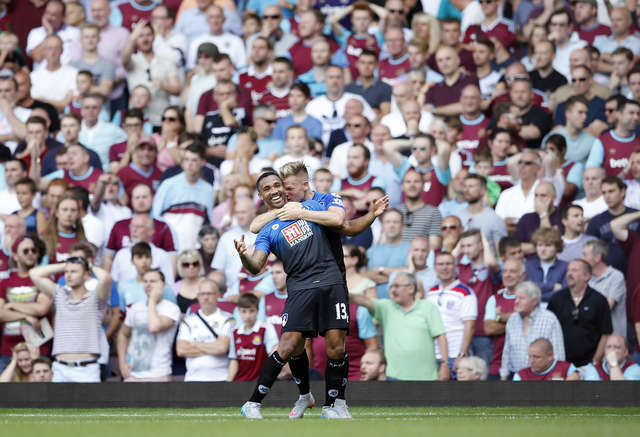 Callum Wilson and Matt Ritchie celebrate after beating West Ham United. 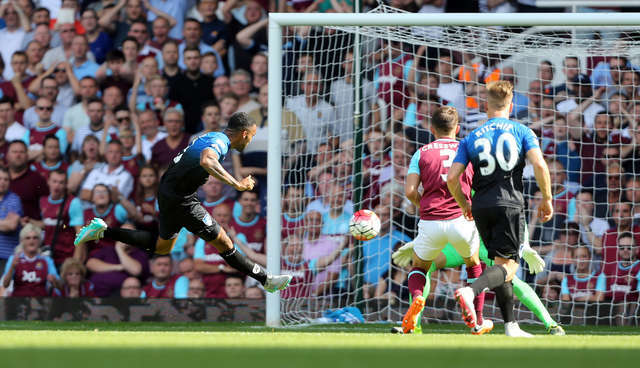 Callum Wilson sidefoots in the club's first Premier League goal against West Ham United. 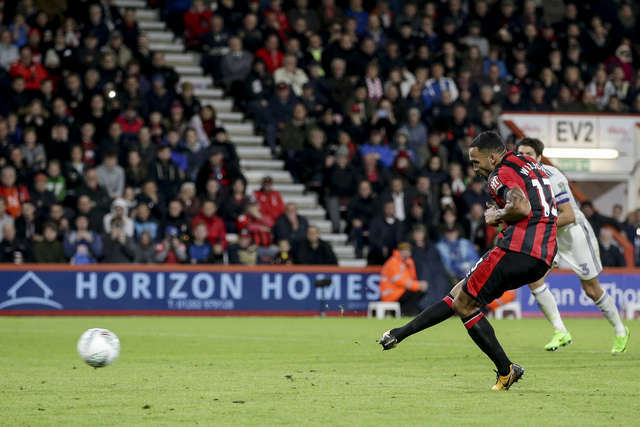 Callum Wilson sidefoots in a penalty to complete his hat-trick against West Ham. 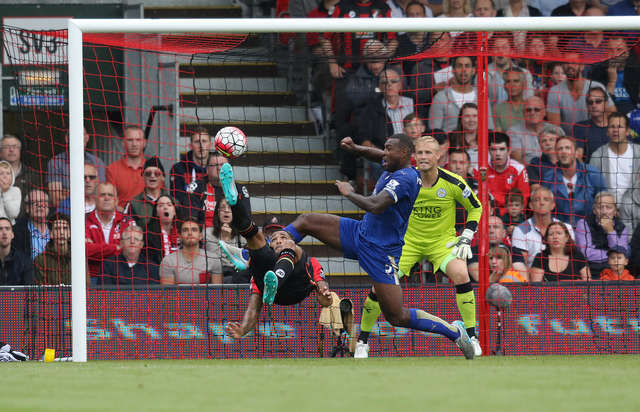 Callum Wilson scores an overhead kick against Leicester City. Callum Wilson finishes against Sunderland. 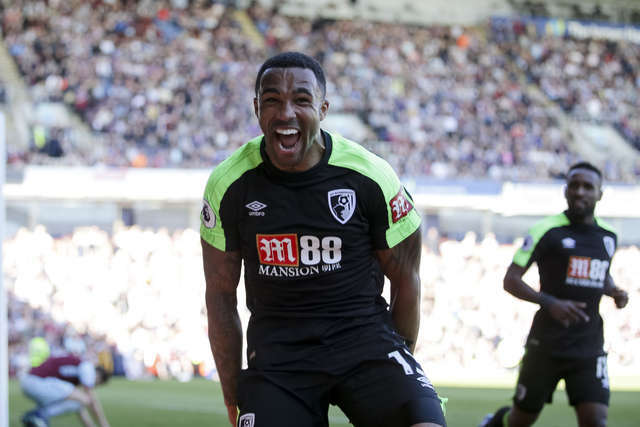 Callum Wilson celebrates after scoring a backheel against West Bromwich Albion. 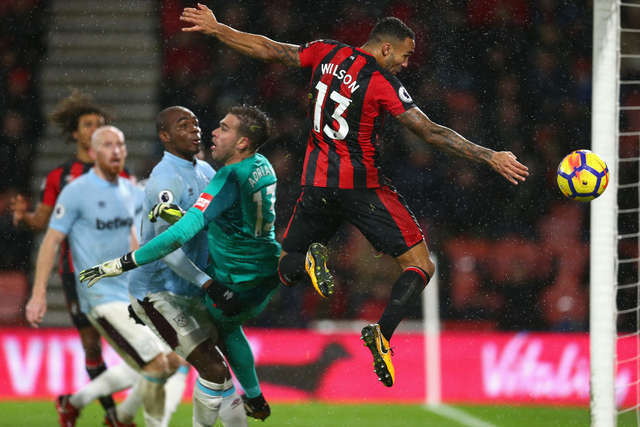 Callum Wilson stoops low to head in against Watford. Callum Wilson heads in against Hull City. 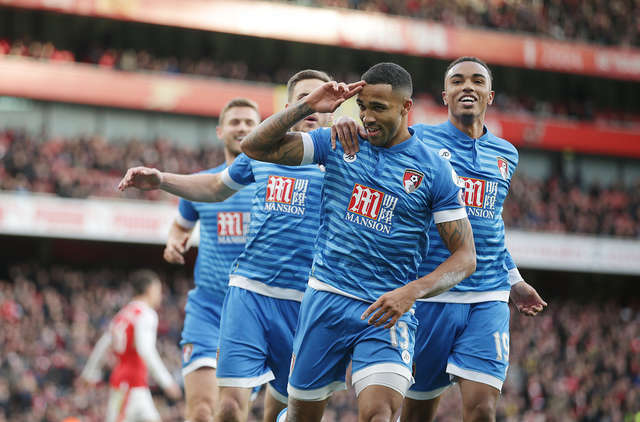 Callum Wilson salutes after scoring against Arsenal. 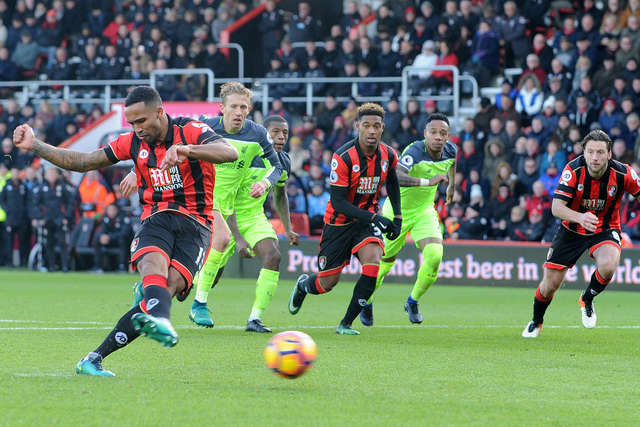 Callum Wilson sidefoots in a penalty against Liverpool. 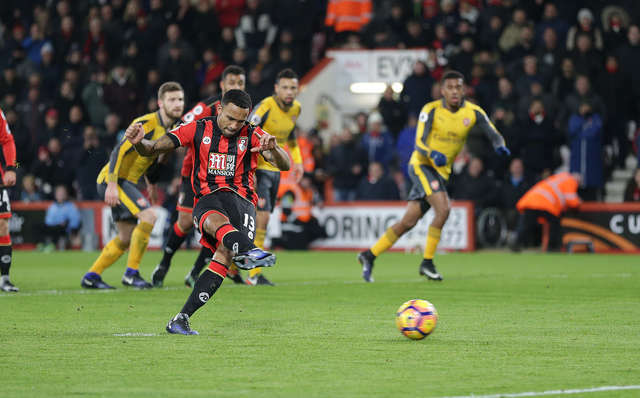 Callum Wilson scores against Arsenal from the spot. Callum Wilson scores a penalty against Middlesbrough. 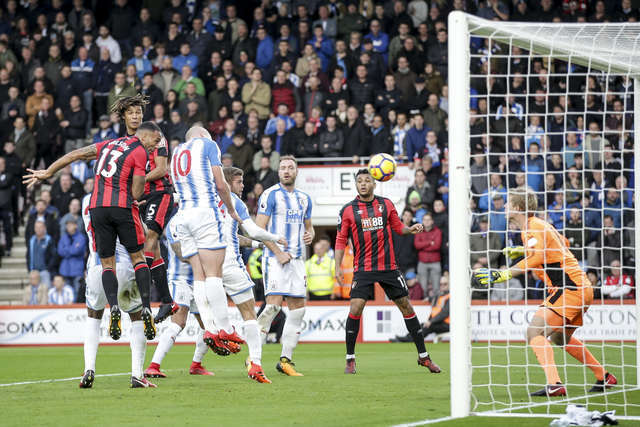 Callum Wilson heads in the opener against Huddersfield Town. 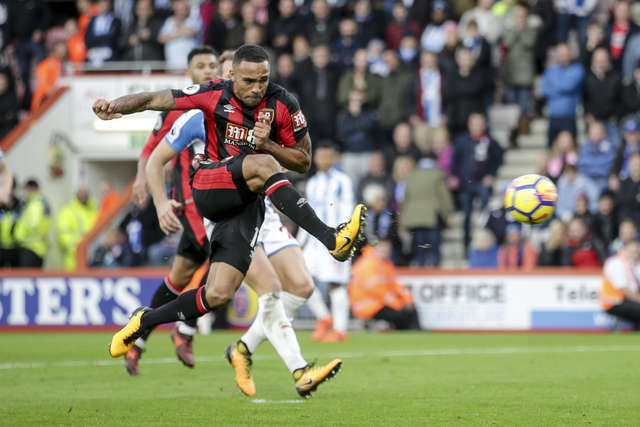 Callum Wilson scores the second against Huddersfield Town. 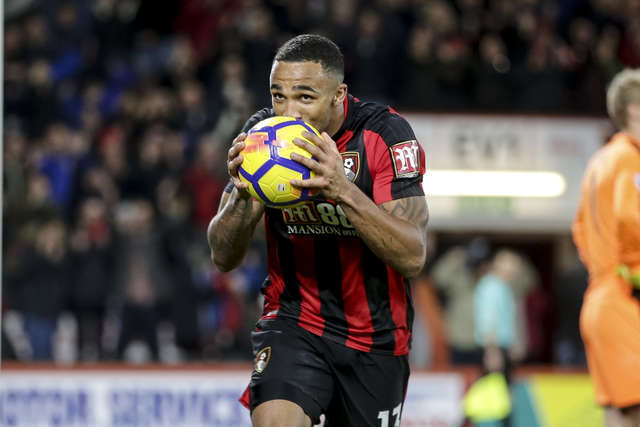 Callum Wilson kisses the matchball after scoring his third against Huddersfield Town. 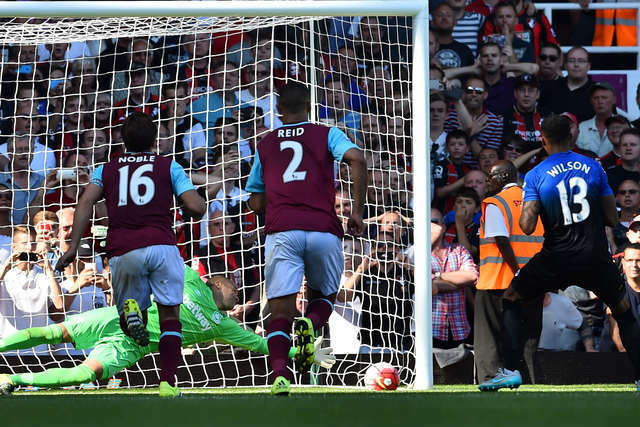 Callum Wilson scores against West Ham on the line. 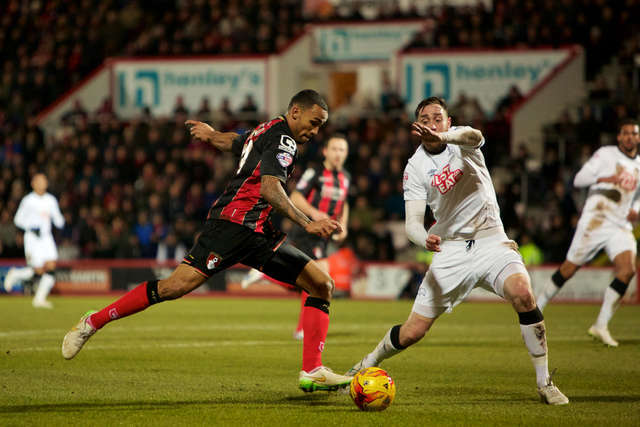 Callum Wilson picks up the ball after scoring against Brighton. 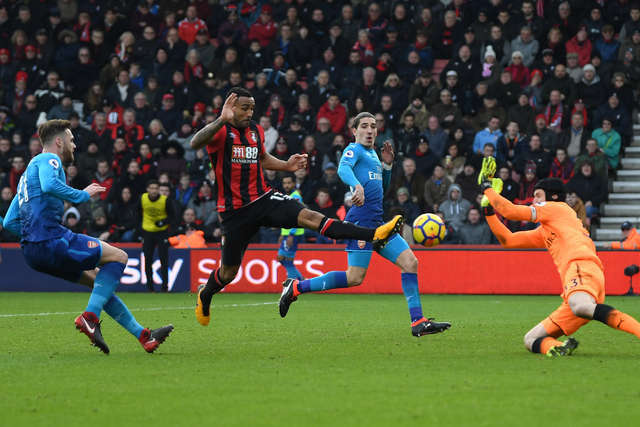 Callum Wilson prods home past Petr Cech against Arsenal. 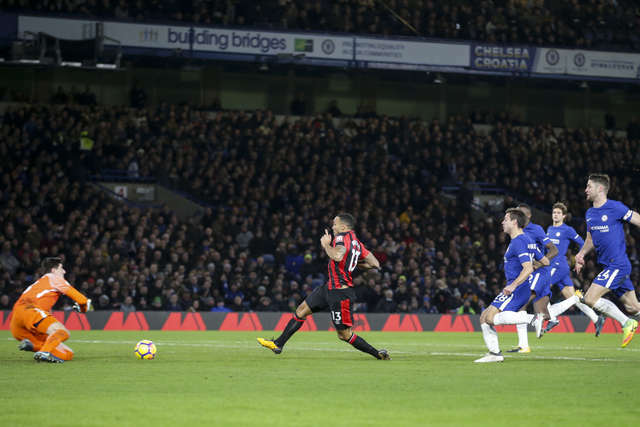 Callum Wilson beats Thibaut Courtois to score at Stamford Bridge. 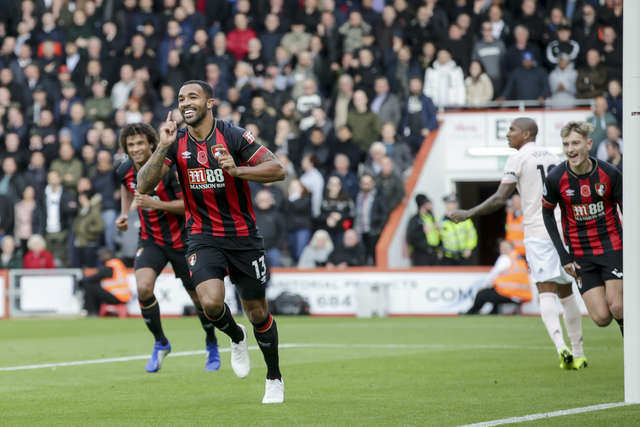 Callum Wilson screams with passion after scoring the winner against Burnley. 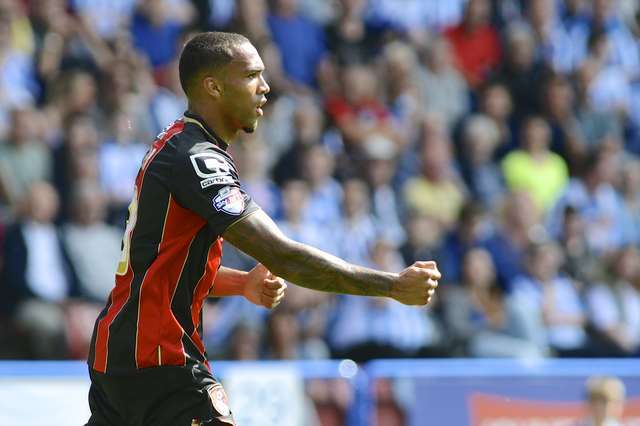 Callum Wilson celebrates after scoring against Cardiff City. Callum Wilson finishes off his run with a goal against West Ham United. 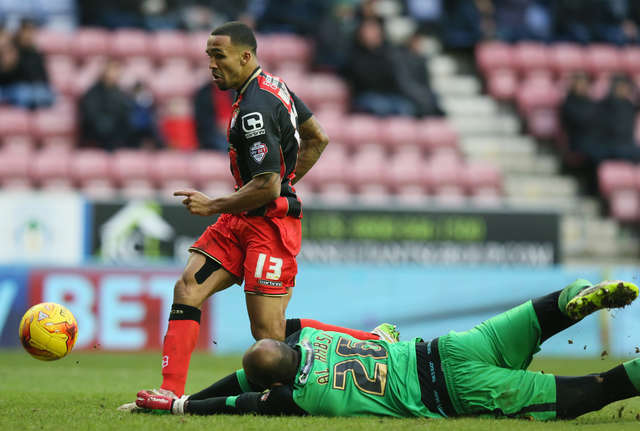 Callum Wilson wheels away after nodding in the winner against Blackburn Rovers. 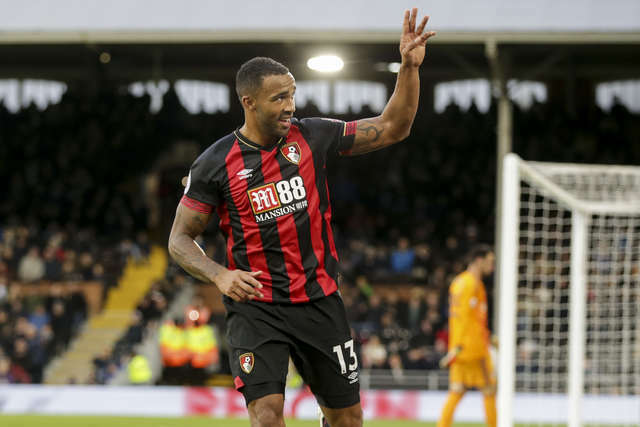 Callum Wilson makes an L gesture after scoring against Watford. 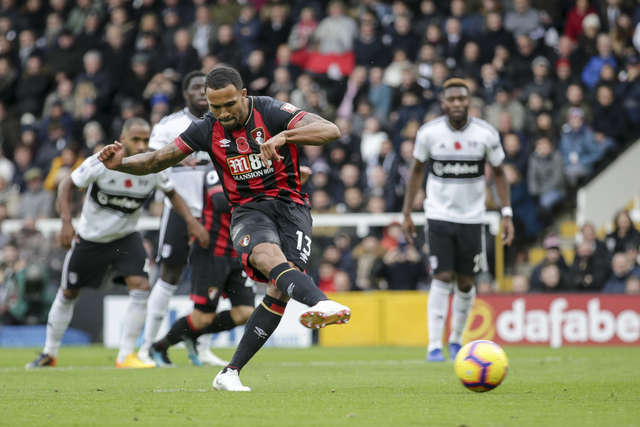 Callum Wilson slams in a penalty against Fulham. Callum Wilson salutes the travelling fans after scoring his second against Fulham. Callum Wilson wheels away after scoring his 50th goal for the club against Manchester United. 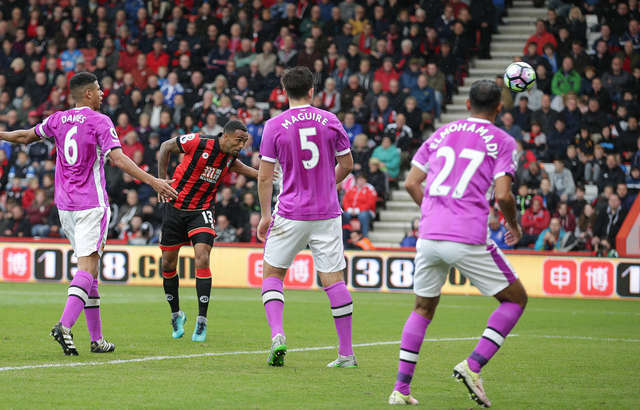 This weekend saw Callum Wilson reach half a century of goals for AFC Bournemouth. The frontman secured the half century with a well taken goal against Manchester United at Vitality Stadium. After signing for the club in 2014 from boyhood club Coventry City, Wilson's first season saw him take the Championship by storm. During the promotion-winning campaign of 2014/15, the now 26-year-old scored 23 times in all competitions, proving himself in his first season in the second tier - including crucial goals netted against Reading and Bolton towards the back end of the season. 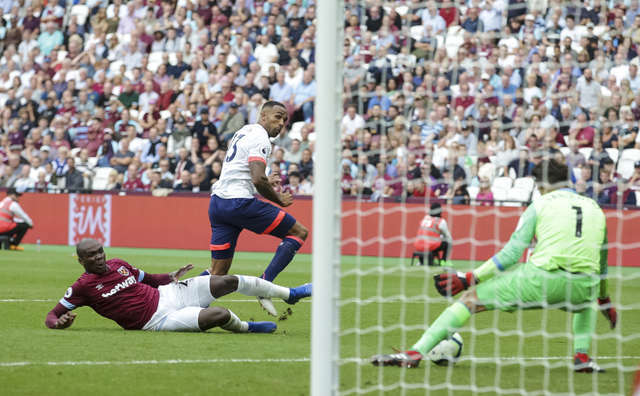 The following season, Wilson not only bagged the club's first ever Premier League goal, but scored a memorable hat-trick in the first ever top flight victory against West Ham United. The Cherries striker would be dealt two heartbreaking blows however over the next two seasons, suffering two serious knee injuries which limited playing time. But this season he's hit the ground running, being involved in ten goals in the Premier League - no Englishman has been involved in more so far this campaign. Here's a gallery of Wilson's half century for the club, which of these do you remember fondly? Tweet us with your best Wilson memories using the hashtag #Wil50n!